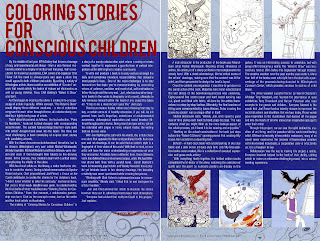 More Press for "Rated G" and "The Book"
The good folks at Focus on the Coast magazine have published a wonderful article on the Coloring Stories for Conscious Children project. Written by Joel William Fernando, the article outlines the process behind making this book along with its challenges and small triumphs. Complementing this nice piece of journalism are Fernando's photos which he took the night of the opening. 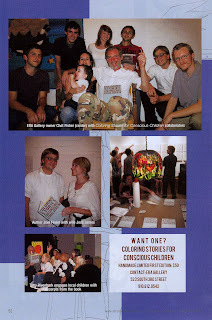 The photographs are viewable on the In Focus website, or in a picasa album here. If you look hard, you might even find me in one or two of them. Update: Looks like I got the jump on Focus on the Coast with this post. But now they put the article on their site as well. So you can either read it here, or head on over the online version of their article! Update: Apparently the link is no longer valid. I tried to search for the article on their site, but it doesn't seem to be up anymore.